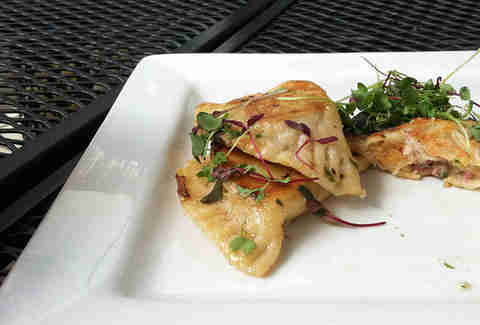 Pittsburgh’s love affair with the pierogi, a lovely dumpling stuffed with goodness, runs deep. The city has a strong Eastern European influence (we even have a neighborhood called Polish Hill) and cuisine takes its cues from the Old Country. 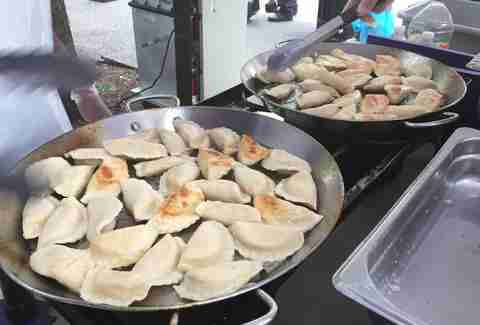 The pierogi is celebrated everywhere -- there are indeed racing dumplings at Pirates games. Plenty of restaurants give the authentic and much-coveted church basement produced ‘rogies a run for their money. Gosia’s Pierogies, handmade in Latrobe, are found at various farmers markets throughout the city. Since these dumplings are mobile, they always seem to be just where you need them. A brewery inside of a church with crazy pierogies? Is this heaven? No, it is Church Brew Works of Lawrenceville. Potato and cheese pierogies in Buffalo sauce and pierogies sautéd with broccoli and tomato are always on the menu. A non-traditional prep rotates daily. 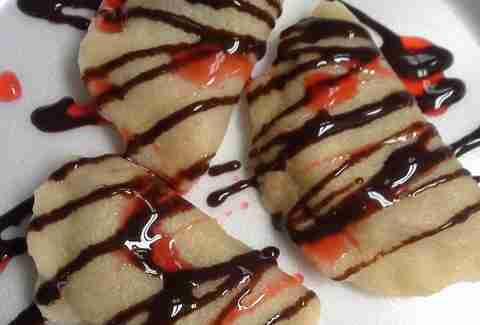 Rattlesnake pierogies, anyone? The favorite pierogi place of former Pittsburgh Penguins stars, Forgotten Taste is a family operation that cranks out traditional tastes -- so you won’t forget! Prune butter -- lekvar-- makes an appearance as a filling as well as jalapeño, cottage cheese, and cabbage. 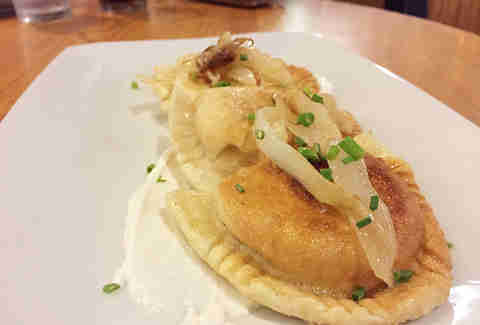 Here’s the thing: Braddock’s only has one pierogi style on the menu on a regular basis, as well as a pierogi of the month. The constant is braised short rib-stuffed pierogies -- AKA magic. Pierogies filled with tender short rib are everything that is good. The pierogi of the month get a little cray with ingredients like shrimp and goat cheese. America! 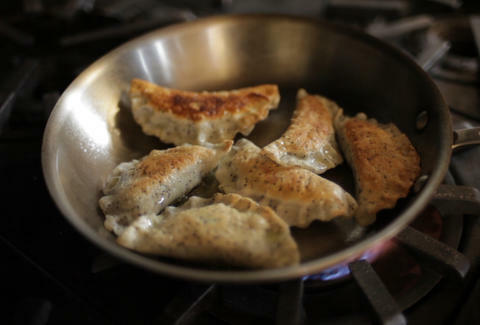 Pierogi Nights are pop-up, monthly events that star the pierogi -- with a twist. These dumplings, and all food for the night, are vegan. The flavors are always different, like roasted turnip or butternut squash. These popular events have spun off into a soon-to-be-opened restaurant in the East End, Apteka, that will focus on Eastern European food crafted with veggies. Wild pierogi flavors are the name of the game at Cop Out. Hand crafted by a police sergeant, these dumplings have fillings like pepperoni pizza, chicken spring roll, and lump crab. 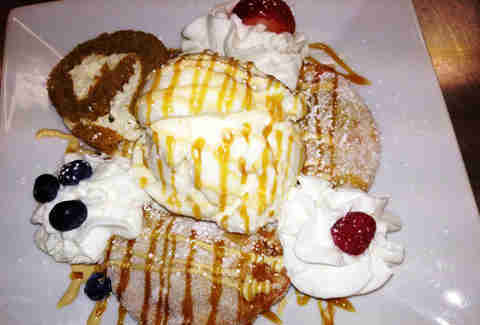 Cop Out also specializes in dessert pierogies like Bavarian cream and pumpkin spice. At S&D Polish Deli in the Strip, you can purchase plenty of supplies to stock a kitchen that would fit right in in Krakow. 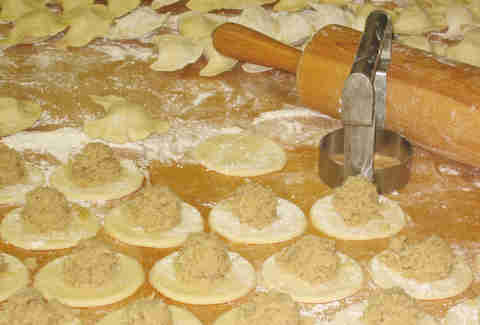 You can also indulge in freshly made pierogies. 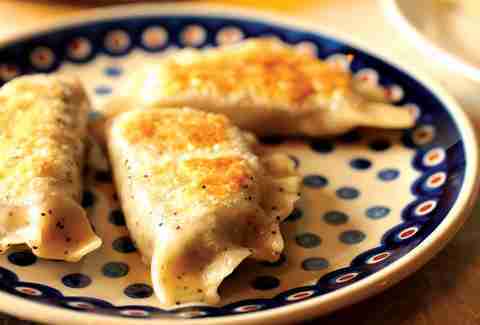 The sweet farmer cheese pierogi is a must, dusted with cinnamon. Pierogies Plus is king! Its pockets of delight are served all over the city from the swanky Meat & Potatoes to the Polish all-star Bloomfield Bridge Tavern. If you can’t make it to the repurposed gas station (now pierogi factory), in McKees Rocks, ordering online is the next best thing. Laura Zorch once competed in a pierogi-eating contest. She ate 17.